No one plans a birthday party quite like Marina del Rey. The picturesque seaside community pulled out all the stops for its 50th birthday celebration, complete with fireworks, a tall ships parade, a weekend-long fair, and a bounty of dining and drink specials around town. What better place to pick up a little inspiration (and maybe a few cocktail recipes!) for one’s own birthday, anniversary, or special weekend getaway? 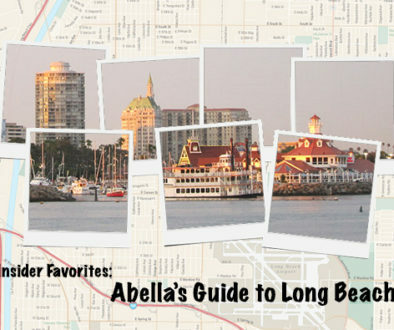 Here are the building blocks for a perfect getaway in one of Los Angeles’ most unique neighborhoods—whether you’re looking to save, spend, or splurge. Splurge: For the ultimate luxurious nautical getaway, enjoy a private cruise with AA Paradise Bound Yacht Charters. Captain Alex will whisk you (and up to eleven friends) away for an overnight stay on a 109-foot luxury yacht, complete with onboard customized catering. The captain and his crew team up with the Ritz-Carlton to tailor your perfect trip, whether that’s an overnight soiree or a sunset cruise with your sweetheart. Prices vary based on the trip. 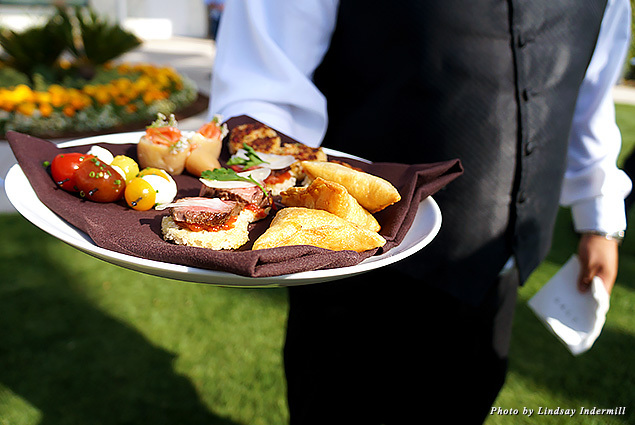 Spend: Leave the stress of a hectic workweek at the dock and step onto a Hornblower Champagne Brunch Cruise. At $66.95 per guest (at the time of writing), you’ll be greeted with a bottomless glass of champagne the moment you step onboard. You’ll then be seated at a private indoor table with a cornucopia of all-you-can-eat brunch favorites. 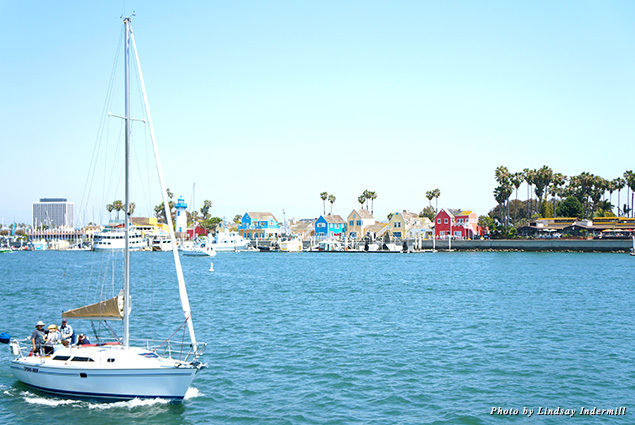 Once you’ve finished eating, head to the roof to enjoy the salty breeze, California’s beloved sunshine, and a tour of the marina. Save: For a wet and wild experience, rent a stand-up paddleboard from Ray at Marina Paddle. If you’re a first-timer at LA’s new favorite sport, an instructor will coach you for 90 minutes for only $25. Or, rent a board for two hours and paddle solo (it’s all about good posture, which the staff will gladly explain before you head out). Tempting as it may be, do resist the urge to pet one of the many sunbathing sea lions on the dock. They’re not as charming as they seem. Splurge: Scopa Italian Roots is a foodie’s paradise. Think dim lighting, exposed brick ceilings, and the understated masculine design that’s become synonymous with LA’s dining scene. The menu is built for family-style sharing (hence the name, “Italian Roots”). Pass around easy starters such as the marinated olives, raw Brussels sprout salad, and crispy squash blossoms while sipping one of the specialty cocktails. Then order a few hearty dishes such as the vodka sauce rigatoni, a whole branzino (perfectly crisped on the outside, even for those of us who don’t normally eat the skin), and a pasta fagioli. Finally, taste the selection of “dolce” desserts with a creamy coffee or earthy espresso. 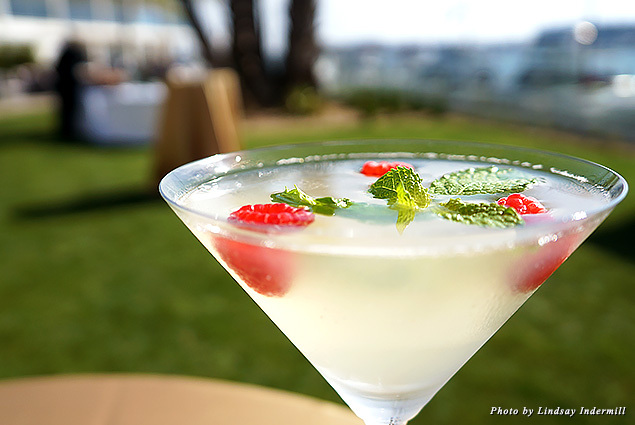 Spend: SALT at the Marina del Rey Hotel is the spot you hope to find when visiting a marina—waterfront views, locally sourced seafood, and a killer Happy Hour ($5 appetizers, beer, wine, and cocktails between 4 and 6:30 p.m.). Hotel guests are privy to a special poolside menu that includes lobster rolls and oysters on the half shell. For an extra special evening, nab the dockside table with the fire pit and upholstered couches. Save: Pick up a sandwich from Mendocino Farms (I recommend the “Not-So Fried” Chicken) and walk over to the Burton Chace Park for a picnic on grassy knolls with shady trees. 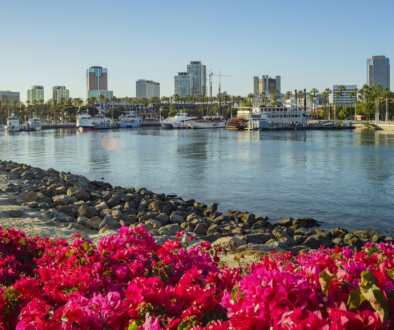 In the summertime, check out the free Marina del Rey Summer Concert Series for classical music every other Thursday evening and pop concerts every other Saturday at 7 p.m.
Splurge: The Ritz-Carlton, Marina del Rey is a AAA Five Diamond jewel in the Ritz-Carlton family crown. Dine at the on-site Cast & Plow restaurant, retreat to a private poolside cabana, and practice your swing at the tennis courts. 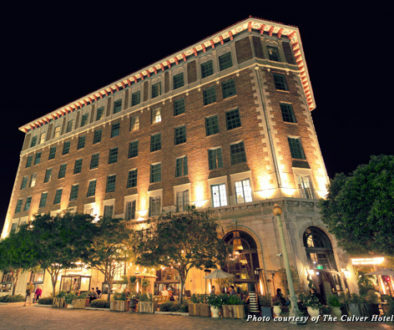 Spend: Like many of LA’s best-loved celebrities, the oldest hotel in Marina del Rey has just received a $25 million dollar facelift. 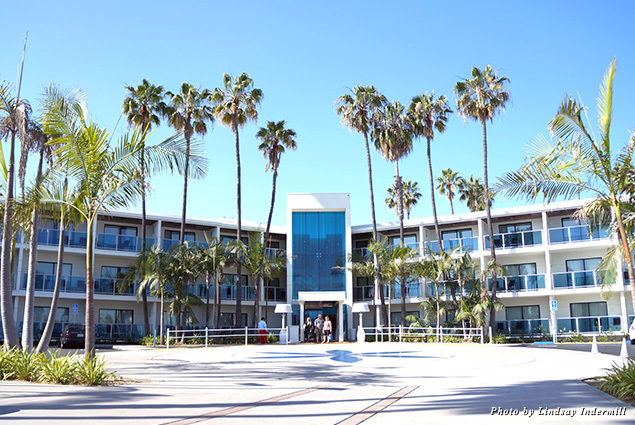 The Marina del Rey Hotel is the only hotel property nestled in between harbor basins, offering incomparable panoramic views of the marina. Rent a beach cruiser from the front desk for a quick escape to the mainland. Make sure to check out the hotel’s specials for up to 25 percent off your stay. Save: The West Indies-inspired Jamaica Bay Inn is located on the only stretch of sand in the marina. Besides the 111 guest rooms, the hotel boasts a beachfront pool, a sprawling patio with private fire pits, and Philosophy toiletries in every room. I picked up a zesty, dry, and smooth cocktail recipe from Milan, one of the fabulous bartenders at the Marina del Rey Hotel. In honor of the marina’s 50th birthday, this drink is called “The Nifty Fifty.” Cheers! Recipe: In a shaker, combine 2 ounces vodka, ½ ounce of St. Germaine’s, ¼ ounce fresh lemon juice, ¼ ounce simple syrup, and a splash of purified water. Shake, strain, and pour into a martini glass. Garnish with a crown of mint and a trio of raspberries.